Maurice Singer was an Aliyah Shaliach in London and Chicago. 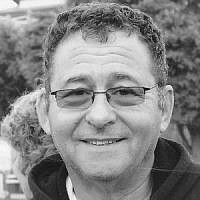 For 20 years he was Director of Aliya and Absorption for the British Olim Society (UJIA). He pioneered the Jewish Agency's Global Center. In 1989 introduced into Israel Job Clubs. This concept triggered many different companies and organizations to develop their own versions. Today Maurice works as a private Israel relocation consultant and Presenter different NGO's and Municipalities.